The Kinross Incident is a famous aviation accident which many still believe shows proof of an extraterrestrial encounter. The story unfolds in late November in 1953 over the Great Lakes. The Air Defense Command was activated in 1946 to offer air warning and air defence for the continental United States. The plan was to extend seaward the wall of powerful land-based radar with airborne early warning and control units. Within a short time the Air Defense Command grew from four fighter squadrons to 93 active Air Force fighter interceptor squadrons, 76 Air National Guard fighter interceptor squadrons, several Naval fighter squadrons, USAF and USN airborne early warning squadrons, radar squadrons, training squadrons and numerous support units. First Lieutenant Felix Moncla Jr was a US Air Force pilot on temporary assignment at Kinross Air Force Base. He had over 1,000 hours of flight time. His last flight was an air defence intercept which was coordinated by the Air Defense Command. On the 23rd of November 1953, radio operators at Sault Ste. Marie, Michigan saw something unexpected at St Mary’s River. St Mary’s River flows between Lake Superior and Lake Huron, marking the border between Michigan, US and Ontario, Canada. Radar operators identified an unusual target in restricted airspace over the Soo Locks, the set of parallel locks on St. Mary’s River which allows ships to travel between Lake Superior and the lower Great Lakes. An F-89C Scorpion jet was scrambled from Kinross Air Force Base to investigate. The Northrop F-89 Scorpion was an American jet-powered fighter designed for use as an all weather interceptor. The name “Scorpion” comes from the shape of the raised tail. The Scorpion has two engines, six guns (controlled by radar) and two crew: the pilot and the radar operator. The F-89A was a prototype: only eight models were ever made. F-89B entered service in June 1951; however these had considerable problems with engines and other systems and were replaced with F-89C. The problems with the engines persisted and the F-89 was grounded when structural problems with the wings were discovered. The F-89D entered service in 1954, a year after the events of the Kinross Incident. Back to the 23rd of November, the Scorpion F-89C registration 5853 was piloted by First Lieutenant Moncla; Second Lieutenant Wilson was the Scorpion’s radar operator. 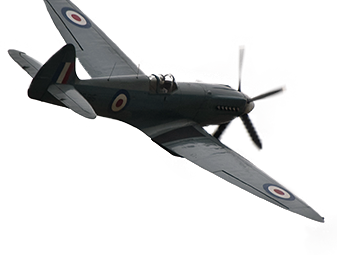 They departed the airfield and flew to the area as requested by the radio operator. But once they were there, Second Lieutenant Wilson reported that he was having problems tracking the bogey (the term for “unknown target” used in the Air Force) on the Scorpion’s radar. Meanwhile, the ground radar operator could see two blips on his radar screen, one for the Scorpion and another for the unknown target. The operator directed First Lieutenant Moncla towards the object, bringing them down from 25,000 feet to 8,000 feet. The Scorpion was flying at 500 miles an hour as they closed in on the unidentified blip. The operator watched as the two blips grew closer and then appeared to merge into one over the Canadian side of Lake Superior. The operator believed that First Lieutenant Moncla had flown either under or over the target. At the same time, the Scorpion’s IFF (Identification Friend or Foe) signal disappeared. He continued to watch, expecting that the Scorpion and the object would separate again into two blips. Then he became frightened that the two objects had crashed into each other in a mid-air collision. But neither of these possibilities appeared to be true. The single blip continued on its previous course north over Canada and then vanished. Ground Control attempted to raise First Lieutenant Moncla on the radio but received no response. The operator contacted search and rescue. He told them that he thought there might have been a mid-air collision, even though he’d seen one of the targets fly away. He hoped that the two pilots might have bailed out before the collision. With their life jackets, they could survive for a short time in the cold water. The US Air Force immediately initiated a search and rescue operation, asking for support from Canada. The pilot of another Scorpion joined the search and rescue and said that he heard a brief radio transmission from First Lieutenant Moncla about forty minutes after the plane had disappeared from radar. No one else heard the radio call and it could not be confirmed. There was no other trace of the Scorpion and its two-man crew. All night, US and Canadian search planes circled over the lake. The following morning, boats joined in the search, criss-crossing the area where the aircraft was believed to have gone down. The Chicago Tribune published the information in the early edition but then Air Force headquarters killed the story, denying that the jet had “merged” with anything. Neither the plane nor the flight crew was ever found. The US Air Force official response was that the radar operators had misread the scope. They claimed that the unknown object was a Royal Canadian Air Force aircraft which had flown off course and the Scorpion was scrambled to investigate. However, the Royal Canadian Air Force denied that they had any aircraft in the area and dismissed allegations that their aircraft was involved in an incident. The investigators from the US Air Force took a more careful line, theorising that First Lieutenant Moncla may have experienced vertigo and crashed into the lake. They pointed to rumours that Moncla suffered from “attacks of vertigo in a little more than the normal degree” but were unable to dig up any first hand evidence. The bogey was not aware of any aircraft in the area, and GCI saw no blips break off from the target. Both pilot and observer are missing and officially listed as dead. Another explanation was given to family. One of First Lieutenant Moncla’s relatives said that the Air Force told Moncla’s widow that the First Lieutenant Moncla had flown too low while identifying the Canadian aircraft and had crashed into the lake. The unknown aircraft being intercepted was a Royal Canadian Air Force Dakota (C-47), Serial No. VC-912, flying from Winnipeg to Sudberry, Canada. At the time of the interception it was crossing Northern Lake Superior from west to east at 7,000 feet. This flight was approximately 30 miles south of the intended flight path. According to the report, the aircraft had been identified but was classified as a bogey because it was about 30 miles off course. There’s no reference to anyone attempting to contact the bogey before scrambling the F-89 for an interception. It could be that US Airforce Personnel were using the unexpected Royal Canadian Air Force aircraft for a mock intercept as a test of the response times. The investigative report also says that they contacted the pilot of the Canadian aircraft and he told them that he never saw the Scorpion F-89 and did not know that he was the subject of an interception. The F-89 had crashed, the report concluded, for unknown reasons after breaking off the intercept. Which all makes sense, except that the Royal Canadian Air Force files show no report of an incident involving any Royal Canadian Air Force aircraft in the Lake Superior area on the 23rd of November in 1953. The only aircraft nearby, a Dakota C-47 registration VC-912, was piloted by Gerald Fosberg, who denies that he was off course or ever in US airspace. I remember the flight reasonably well, and just checked my log books to confirm the date. It was a night flight. We were probably at 7,000 or 9,000 feet over a solid cloud deck below and absolutely clear sky above. Somewhere near Sault Ste. Marie, and north of Kinross AFB, I think a ground station (can’t remember whether it was American or Canadian) asked us if we had seen another aircraft’s lights in our area. I do think I recall them saying at that time that the USAF had scrambled an interceptor and they had lost contact with it. We replied that we had not seen anything. A few days later I received a phone call from somebody at Kinross who was carrying out an investigation on a missing aircraft. I could only tell them that we had seen nothing. That was the last I ever heard of the incident. This recollection ties in with the initial statement that “the bogey was not aware of any aircraft in the area” and technically also supports the US Air Force investigation report that the pilot of the unknown craft did not know he was being intercepted and did not see the F-89. 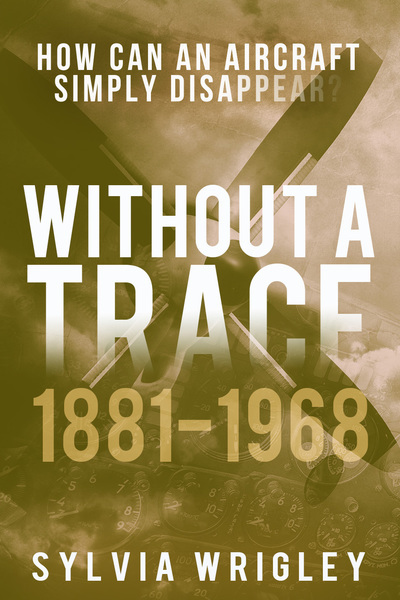 However, the pilot of the Dakota C-47 is quite clear that he was never 30 miles off course and that he was never told that the missing aircraft had been trying to intercept him. 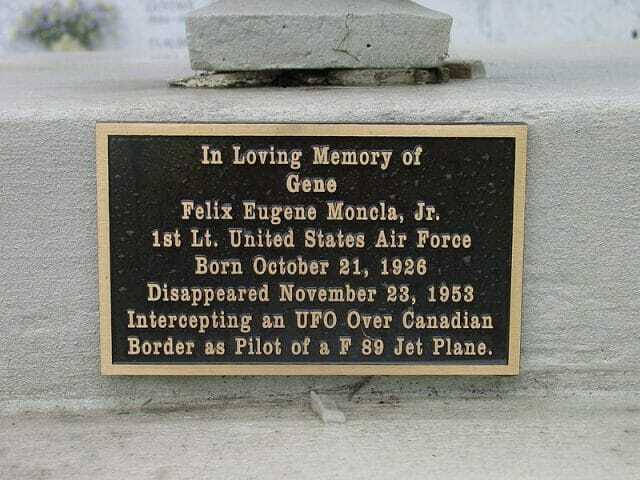 Unfortunately, we have no record of the radio communications between First Lieutenant Felix Moncla in the F-89 and the radar controllers, so we do not know if he ever made visual contact with the C-47 or some other aircraft. In case that wasn’t all odd enough, five years later Major Donald Keyhoe wrote a book in which he exposed the cover up. Major Keyhoe had initially been sceptical about the existence of unexplained and unidentified flying objects but somewhere around this time, he became convinced that flying saucers were real. He wrote a book claiming that the Air Force had evidence of extraterrestrial visitations but were burying the reports in order to avoid panicking the public. 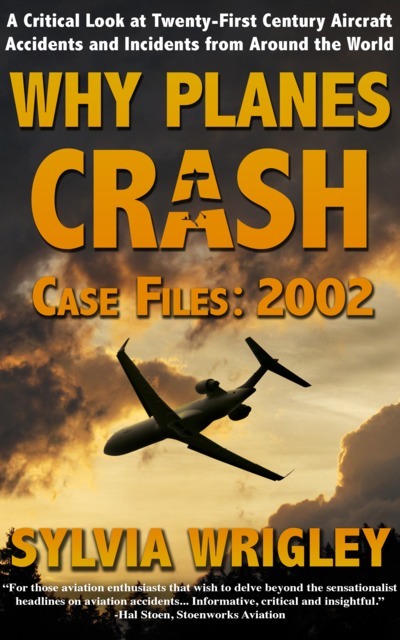 In a later book, based on interviews and official reports from the Air Force, he described the accident and said that he was phoned on the on the night of the disappearance. He said that there was a rumour out at Selfridge Field that an F-89 from Kinross was hit by a flying saucer. He followed up by phoning the Public Information Officer who told him that the unknown was a Canadian DC-3 which was over the locks by mistake. When the book was released, the Air Force repeated that the unknown aircraft had been confirmed to be a Royal Canadian Air Force Dakota C-47. 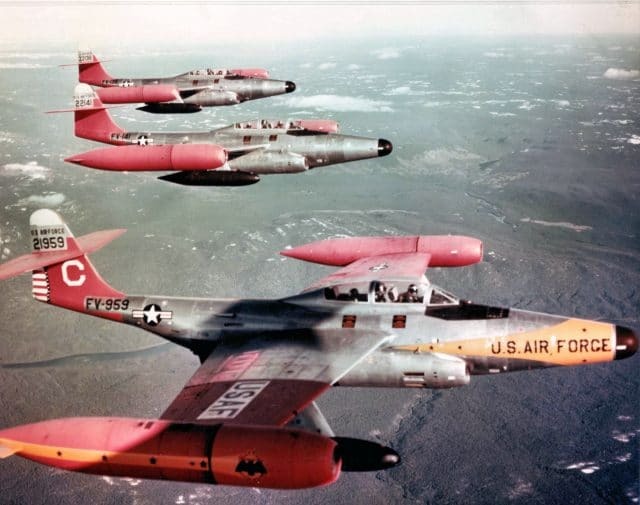 They stated that the F-89 had definitely not collided with the aircraft but that after breaking off the interception, something unspecified had happened which caused the interceptor to crash. In 1968, airplane fragments were found near the eastern shore of Lake Superior. An officer with the US Air Force confirmed that the fragments had come from a military jet aircraft and local news reports speculated that these might be from the missing Scorpion F-89. However, no further information was ever published and the Canadian government do not appear to have any record of the find. Over fifty years later, the mystery came to the public eye again. In 2006, a well-known UFO researcher received an email which included a quoted excerpt from an Associated Press news story about the discovery of the Scorpion F-89 at the bottom of Lake Superior. The email claimed that a group of Michigan divers had found it at the approximate location where the aircraft had disappeared from radar. The email also included a link to the website for the Great Lakes Dive Company. The website showed two fuzzy images of an almost completely intact aircraft resting on the lake bed with its nose in the silt, which they claimed was output from a side-scan sonar. The exposed wing had a tip tank and an upswept tail, characteristic of the Scorpion F-89. The UFO researcher was intrigued, and posted the contents of the email on a UFO Updates website. The news of the discovery of the Scorpion wreckage swiftly spread. Several reporters contacted the Great Lakes Dive Company and spoke to the company spokesman who confirmed the discovery. He told reporters that the sonar images had been made with a fish finder, a sounder used by commercial fishermen to locate schools of fish underwater. The initial response was excitement that the wreckage would finally answer the question of what happened to First Lieutenant Moncla and Second Lieutenant Wilson in 1953. The Great Lakes Dive Company spokesman then announced that an unexplained metallic object was found near the aircraft wreckage. The metallic object was half-buried in the silt, with the exposed part approximately 8 by 15 feet. It was said to resemble the bulge often shown at the center of a flying saucer. Fuzzy images of the tear-drop shaped object, claimed to be sonar, were published on the website with the commentary that that this was possibly the UFO that the radar operators had seen, the blip that the Scorpion had merged with. Journalists began to become suspicious as they delved deeper into the case. It soon became clear that the Great Lakes Dive Company didn’t actually exist outside of these announcements. They failed to find any biographical information or background on the spokesman for the company: all that existed under his name were an email address and a cell phone. Local people involved with shipwreck hunting and maritime history in the Great Lakes had never heard of the spokesman nor the company. Then, three weeks after the discovery, the website disappeared and the spokesman no longer answered his phone nor responded to emails. The International Director of the Mutual UFO Network, the oldest and largest civilian UFO-investigative organisation in the United States, led an investigation into the claims made by the divers. He could not find any evidence of the original news story supposedly released by the Associated Press; the original news article was a forgery. Neither could he find any records for the Great Lakes Dive Company other than the website which had existed only for a few weeks. He did make contact with the spokesman before he disappeared, but the spokesman refused to give him any information about the company or even the type of vessel they used to take the sonar images. One would have to be very optimistic to believe that a couple of divers were insanely lucky and found the long-sought after wreckage in deep water almost immediately using only primitive equipment. However, the description of the equipment meant that it was impossible. The sidescan images released could not have been made with a fish finder in the 500 feet (150 m) deep waters where the wreckage supposedly had been found. The images in that water would have required a towed scanner to produce images of that quality in the deep murky water of Lake Superior. The local community and the UFO researchers agreed that the supposed discovery of the wreckage was a hoax. Meanwhile, the F-89 jet has still not been found and no explanation has ever been made as to the conflict between the US and Canadian military reports? What really happened that night? By now it’s safe to assume that we will never know. One possible explanation is that it was a test of electronic counter-measures equipment designed to create false images on enemy radar. In this scenario, the ECM operators create a “blip” in an area that they know the USAF is monitoring to test if they can fool experienced military radar operators. It would be done at night so that any aircrew that were scrambled to intercept would have to rely on radar to find their target instead of acquiring it visually. The F-89 was able to pass through the location of the “blip” without the crew reporting that they had found anything because there was never anything there to find, or anything to collide with. 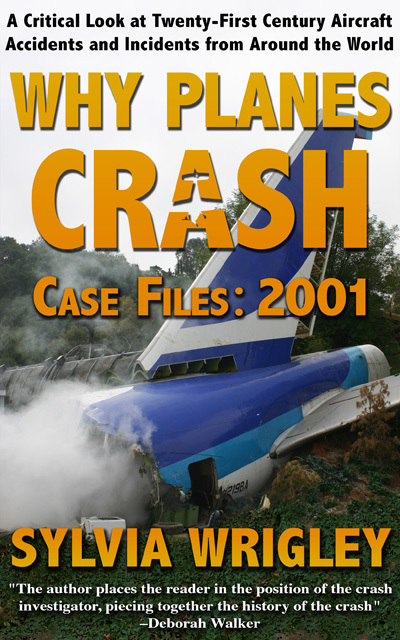 The story about an off-course Canadian aircraft was just a cover story. It may have been hastily concocted after the crash when it became necessary to explain what Moncla and Wilson were chasing. Alternatively, it may always have been intended as the official explanation that would be provided to the personnel at Kinross to assuage their curiosity. If that was the case, the reason the story does not stand up to scrutiny is that the people who invented it did not expect that it ever would be seriously examined. 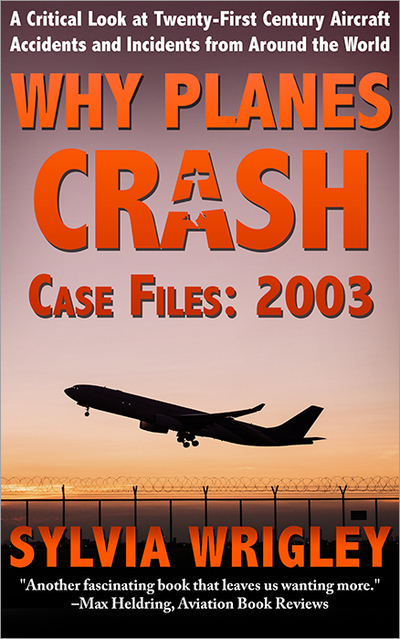 Without the crash the incident would have been quickly forgotten. There was a similar incident in the UK in 1957 when an F-86 pilot called Milton Torres was scrambled to intercept a huge radar target that suddenly vanished as he approached its location. This also happened at night and Torres claimed that he was warned to say nothing about what he had experienced. Fortunately there were no accidents in this case. None of this explains what happened to the F-89. But given the circumstances and the known problems with this type, it’s equally possible that it was due to pilot error or a sudden mechanical failure. In either case the fact that the aircraft was flying fast and low at night while the crew had all their attention on searching for a mysterious bogey would have left little time for any corrective action. * Did you mean “Sudbury” rather than “Sudberry”? Ouch, yes, that should have been 1951, thank you! The reference to Sudberry was in a quote which is meant to have come from the military investigation into the incident. But I can’t find a copy of the actual report, so I have no idea if Sudberry is 1) intentional 2) a mistake in the original report or 3) a mistake introduced by the person who quoted the report. I’m sure there must be some way of getting the original report as the incident was sixty years ago but I’m afraid I don’t know where to start. Essentially, Andrew’s explanation does make a lot of sense. The military are notorious for covering up and even denying incidents.The Aer Lingus 712 crash in 1968 is another mystery which bears some similarities with the Kinross incident. Only this was an airliner, a Viscount, which disappeared. The Irish navy did not have the resources to salvage the wreckage and Irish investigating authorities were not given instant access to the wreckage. The cause still is considered an unsolved mystery and in spite of denials, there still are people – amongst them credible Aer Lingus veterans – who suspect that the British military were involved. Rumours still are in existence about an off-course unmanned drone or an accidental shooting-down of the passenger aircraft. I heard a radio interview many years ago; a man was interviewed who claimed that he had seen the Viscount come down in the sea. Onky, he described it as being painted “red and white”. Exactly the colours a drone would have been painted in. So if an airliner can crash without the cause ever being established, then the same can apply to a lone fighter.